All About Eve is (rightly) included in Indiewire‘s list of 40 films that defined 20th Century Fox, which has now officially merged with Disney. 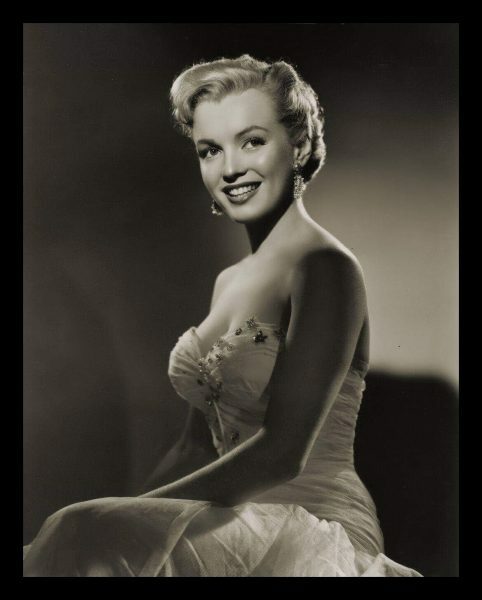 However, I think Marilyn’s string of hits at the studio – such as Gentlemen Prefer Blondes and The Seven Year Itch, to name just two – also merit consideration. Following last year’s Disney buyout, 20th Century Fox was officially dissolved this month, as Peter Bart reports for Deadline. While Marilyn’s feelings for her home studio were mixed at best, it’s a bittersweet moment in movie history. “Hollywood endured a big setback this month, and it had nothing to do with the Oscars. A major studio, 20th Century Fox, officially disappeared into the mist, instantly transforming a once robustly competitive industry into a Disney oligopoly. The ultimate cost in jobs could range as high as 10,000, but the real cost will be in opportunity and competitive zeal. 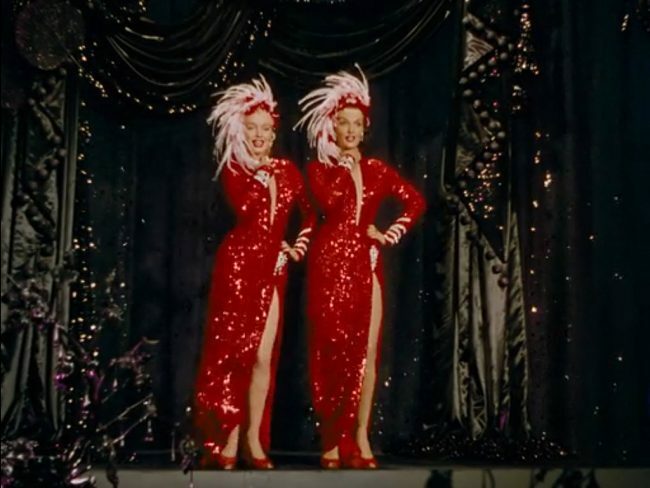 Fox’s history, like MGM’s, has wallowed in melodramatic triumphs and scandals –the corporate intrigues of Warner Bros and its corporate parents (AT&T) or Universal (now a child of Comcast) seem pedestrian compared with Fox’s operatic struggles: Marilyn Monroe’s mysterious demise in the middle of Something’s Got to Give; Elizabeth Taylor’s over-the-top theatrics in Cleopatra; Darryl F. Zanuck’s eight-hour stockholder speeches and stormy battles with his son and successor, Richard (fired in 1971); the eleventh-hour brink-of-disaster deal for Star Wars; the fierce tug of war over Titanic and its overages [overspend]. Given its history, it’s fitting that this is the only studio immortalized in a rock ‘n’ roll classic (‘Twentieth Century Fox’), performed with drugged-out vigor by Jim Morrison and The Doors. Even Fox’s beginnings are cloudy: It may, or may not, date back to 1915 with the birth of Fox films, but also to 1935 when the mysterious Spyros Skouras orchestrated the first of several mergers. Darryl Zanuck, who felt he was a bigger star than his actors, gave sizzle to the studio with signings of Tyrone Power, Henry Fonda, Alice Faye and Betty Grable but also gave it gravitas with such well-intentioned movies as Gentleman’s Agreement, The Razor’s Edge and Wilson. Production of The Longest Day in 1962 was the ultimate Zanuck epic — a long, lugubrious account of the D-Day Invasion with just about every star in the world popping up in bit roles (John Wayne and Kirk Douglas among them). 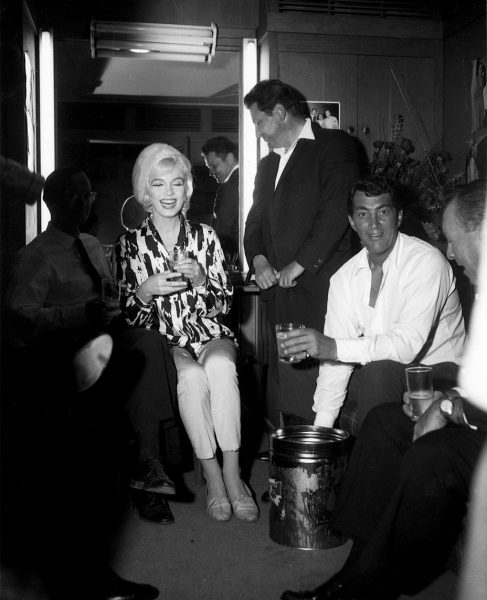 Did Rock Hudson Reach Out to Marilyn? Until now, it has been unclear how well the two stars knew each other (although a recent hack tome made the unlikely claim that Marilyn and Rock were lovers – as we now know, Hudson was gay.) In a critically praised new biography, All That Heaven Allows, author Mark Griffin draws on interviews with Rock’s secretary, Lois Rupert, who claims they often spoke on the phone. 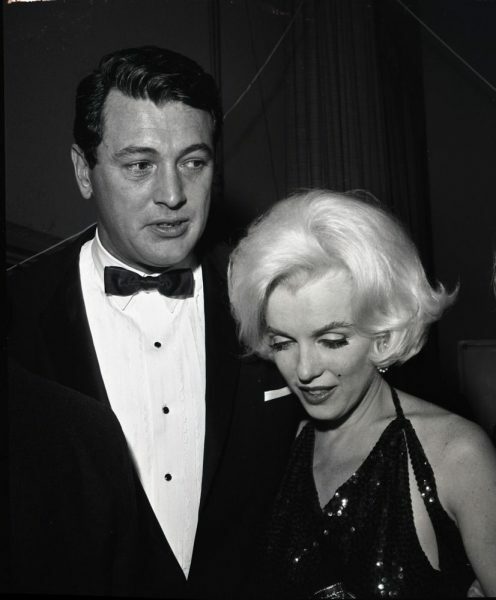 Although the frequency of their conversations may be questioned, the obvious affection of their Golden Globes photos combined with this information could suggest that Rock was one of the few Hollywood figures trusted by Marilyn in her final months – and Griffin also reveals that Hudson generously donated his fee for narrating the 1963 documentary, Marilyn, to a cause very close to her heart. 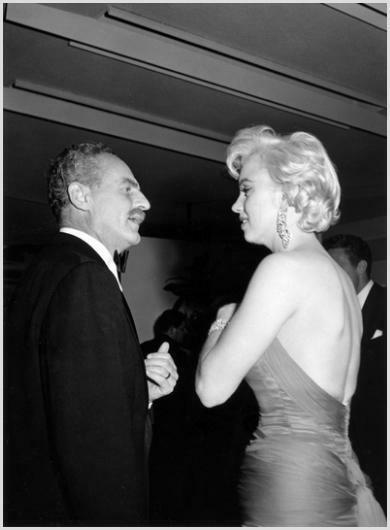 Only five months earlier, Rock and Marilyn Monroe had posed for photographers at the annual Golden Globes ceremonies. 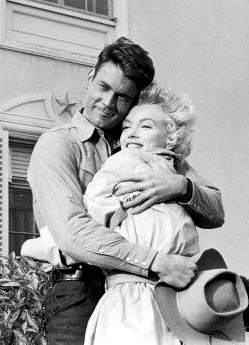 In images captured of the event, Monroe, who was named World Film Favourite, is beaming as Hudson enfolds her into a protective embrace. With a shared history of abuse and exploitation, it was inevitable that these two should be drawn to each other. Recognising that he posed no sexual threat to her, Monroe had latched on to Hudson and had lobbied for Rock to co-star with her in Let’s Make Love as well as her uncompleted final film, Something’s Got to Give. Although he wouldn’t gain his first screen credit until 1965, Earl R. Gilbert began his career at Twentieth Century Fox in the same year as Marilyn (and at the same age.) In an article for Variety, James C. Udel looks back at Gilbert’s long career. “Back in the age of directors calling ‘Lights, camera, action!’ lighting was an unsung craft. One crew member who raised the bar, employing natural-looking illumination like an artist uses his brush, is gaffer Earl Gilbert. Gilbert was born in Bakersfield, Calif., in 1926. His father, Ray, an electrician at Twentieth Century Fox Studios, helped Earl obtain union status via ‘the sons of members’ provision. Joining in late 1946, Earl aced a grueling four-hour test pulling pound-a-foot cable 60 feet above the stage. Serving as a rigger on pictures Forever Amber and Gentlemen’s Agreement (both in 1947) and The Day the Earth Stood Still (1951), Gilbert first demonstrated a talent for lighting on Elia Kazan’s 1952 Viva Zapata! Continuing with Fox into the 1950s, Gilbert helped light classics such as The Robe, two Marilyn Monroe starrers — Gentlemen Prefer Blondes and Bus Stop … On Blondes, he recalls Monroe being shy but Jane Russell being gregarious: Russell’s cry of ‘Howdy, Earl!’ each time she greeted him on set, he says, made him feel like a million bucks. Gilbert developed the art of using available location lighting. He ‘borrowed’ electricity by scaling telephone poles and tapping into overhead power lines — a gambit that risked electrocution. By the 1950s, Claire was still working steadily in film, stage and television, and had found lasting happiness in her third marriage, to producer Milton H. Bren. 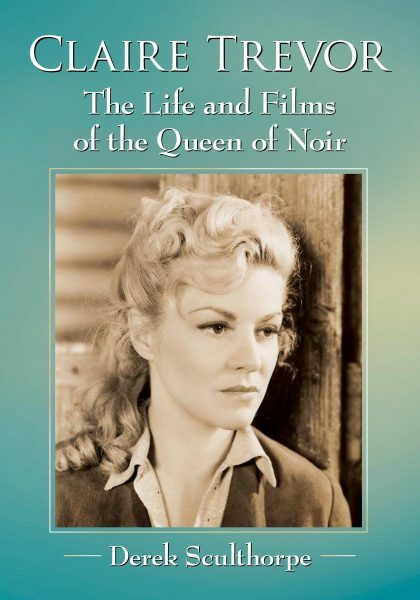 As author Derek Sculthorpe reveals in his new biography, Claire Trevor: Queen of Film Noir, she was aware of the pressures faced by younger stars. In 1963, Claire played Richard Beymer’s mother in The Stripper, adapted from William Inge’s play, A Loss of Roses. As Sculthorpe points out, the script had originally been earmarked for Marilyn in 1961, under the title Celebration. 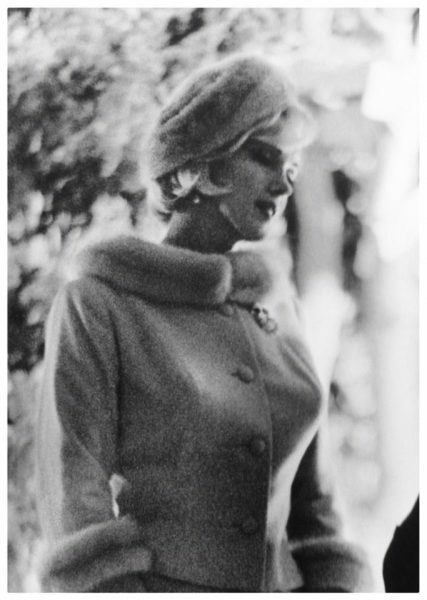 Costume designer Travilla had drawn up sketches for Marilyn’s character before she ultimately declined, committing instead to Something’s Got to Give. 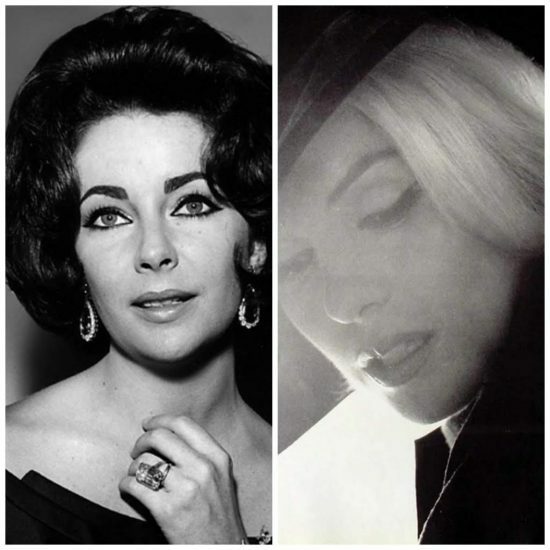 Did Elizabeth Taylor Reach Out to Marilyn? Quite the opposite! Casillo writes of an incident in 1962, when 20th Century Fox was bleeding money on Liz’s over-budgeted extravaganza Cleopatra. 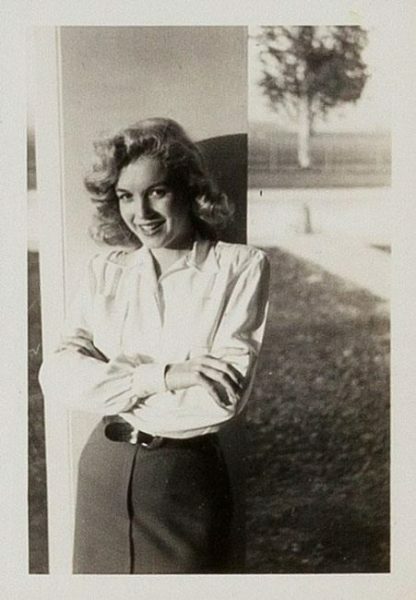 The studio simultaneously fired Marilyn for alleged absences from the set of her never-completed final film, the aptly titled Something’s Got to Give. Marilyn felt she was being sacrificed so Fox could save on her salary and spend it on finishing the bloated Egyptian epic. Two decades later, Liz revealed to a friend that she had reached out to Marilyn to offer her support during this difficult period. ‘Liz told Marilyn she was willing to publicly demonstrate her solidarity,’ Casillo says, offering to quit Cleopatra unless Marilyn was rehired. ‘Marilyn was very moved by Liz’s kindness toward her, but she didn’t want to make matters worse for either of them,’ so she declined the generous offer. Marilyn’s first screen role, in Scudda Hoo! Scudda Hay! is featured in a list of movie stars who got their start as bit players and extras. 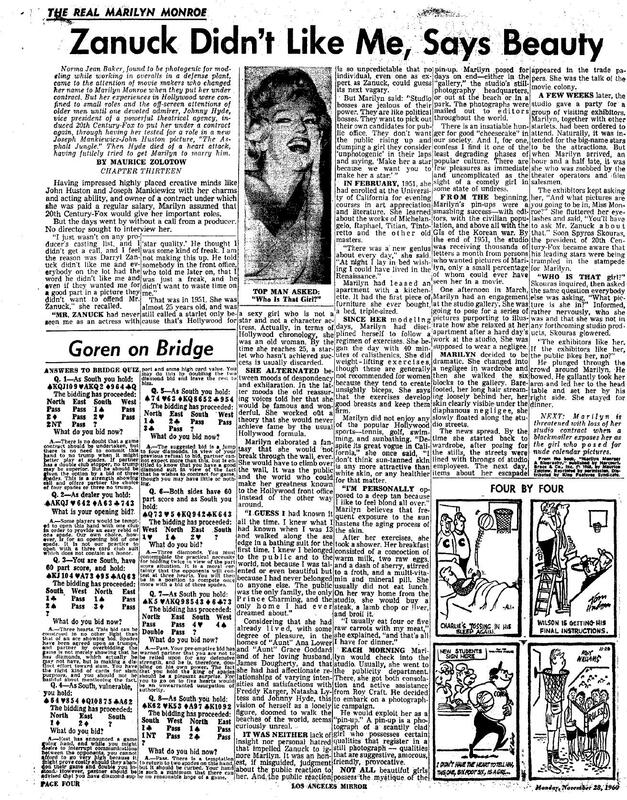 Filmed in March 1947 – six months into Marilyn’s contract with Twentieth Century Fox – the film would not be released for another year. 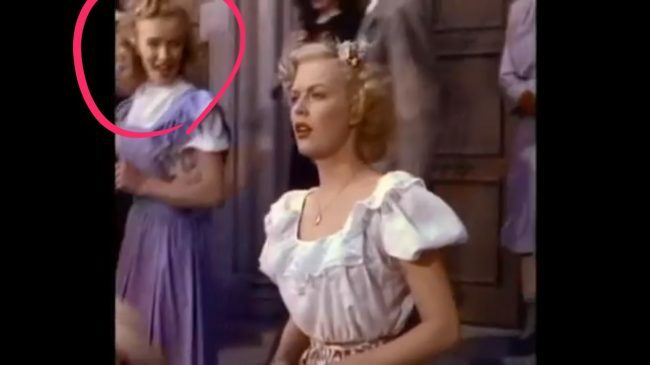 As ‘Betty’, Marilyn can be seen briefly in one scene. Leaving a church service, she says ‘Hi, Rad!’ to leading lady June Haver. 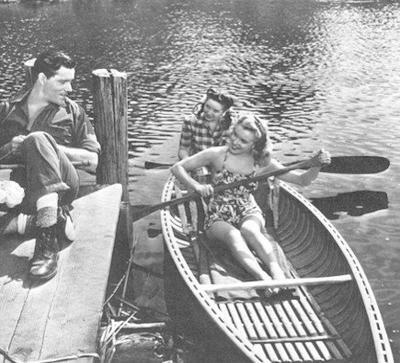 Marilyn’s only other scene, where she and fellow starlet Colleen Townsend row a boat across a lake and chat with some local boys, was cut – although several stills from the production have survived. Marilyn would play a slightly more substantial role in Dangerous Years before being dropped by Fox in July. Despite her minimal presence, Marilyn also posed for a series of ‘bathing beauty’ shots to promote the movie. 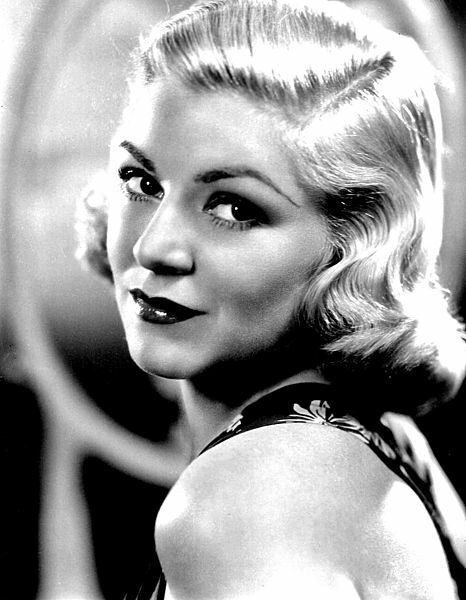 More than half of her screen credits were made before she reached star status (not to mention a couple of other films which used her image without active participation), and while it has been rumored that she was also an anonymous ‘extra’ in several other movies, this remains unconfirmed. Alongside A Ticket to Tomahawk (1950), Scudda Hoo! Scudda Hay! is the only one of her early films made in Technicolor, and a surprisingly enjoyable slice of rural Americana, with a young Natalie Wood, plus stellar character actors Walter Brennan and Anne Revere among the cast. Lon McCallister, who also appeared in Marilyn’s boating scene, later joined her during the Love Happy promotional tour. The unusual title, referring to slang used by farm-workers to drive mules left and right, was later renamed Summer Lightning. But in the 1989 film, Driving Miss Daisy, the film’s original title can be seen on a cinema marquee. 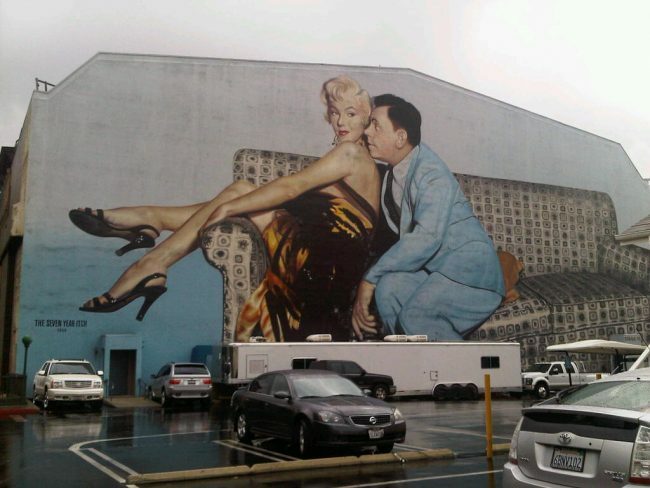 “The images show Marilyn posing alongside guard Aviv Wardimon and are believed to have been taken outside the 20th Century Fox studio some time in the late 1940s. Wardimon’s family discovered the images recently and said they had no idea their relative was friends with Monroe, who is shown embracing him in several shots. Wardimon, who later changed his last name to Blackman, emigrated to the US from Israel before working for a time as a security guard. His images are now expected to fetch $1,000 (£700) each at auction. 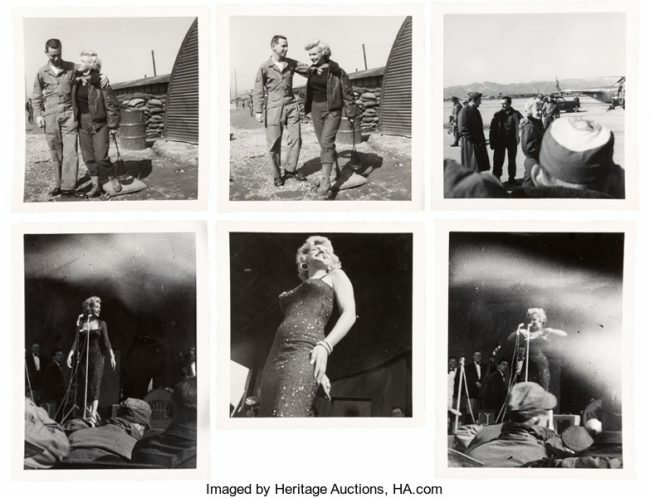 Rare black and white signed photographs where Marilyn Monroe thanks her co-workers in similar notes – ‘It’s a pleasure to work with you’ – are estimated at $7,000 (£5,000) and $4,000 (£2,800.) 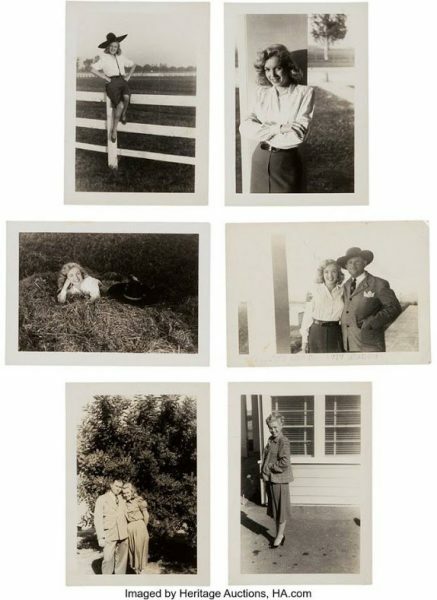 Publicity shots including an unseen postcard where Marilyn and another female were hired as pin-ups for the 1947 National Postmasters Convention in Los Angeles. A signed menu from Marilyn Monroe and Joe DiMaggio’s honeymoon in Hawaii in 1954 is estimated to go for $2,000 (£1,400). In her note, she penned ‘The food was wonderful’ before writing her name ‘Marilyn Monroe DiMaggio’. Although her marriage to the New York Yankee’s star nicknamed Joltin’ Joe would end within a year, the menu preserves a precious moment of the couple’s life.